We’re leveraging more than a decade of experience to bring Surgical Intelligence™to life in the operating room. Pulse is the first integrated platform for the OR built entirely for spine. 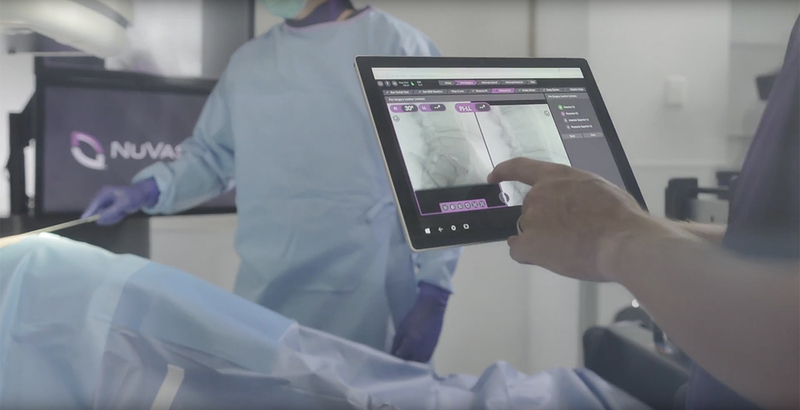 Experience a seamless and intuitive workflow with the essential technologies required for spine surgery right at your fingertips. Everything you need in a single platform. The Pulse platform can be utilized in all spine cases. This level of utility currently rivals all competitive systems on the market, addressing a wider range of clinical challenges. Pulse has been designed to scale with you. The platform’s modular architecture allows for flexible technology packages. This enables surgeons to select the exact tools they need to address specific pathologies and spine surgeries. Pulse is the first spine technology platform to integrate independent technologies for a more effective and meaningful delivery of information. 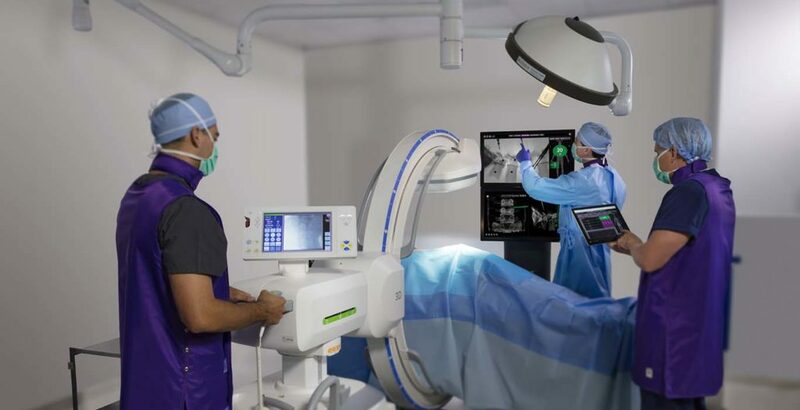 The platform’s built-in wireless functionality allows everyone in the OR to access the technologies independently. This means the spine surgeon, neurophysiologist, C-arm tech, and others can work simultaneously, while still communicating relevant information. Our iGA® surgical planning technology offers simplified preoperative planning which incorporates alignment parameters, implant integration, surgical modeling, and more to help create a reliable plan prior to stepping into the OR. Bending spinal rods during surgery can be time-consuming and subjective. Our spinal rod bending technology is used to create patient-specific rods which are bent exactly to implant locations. Bendini expedites manual rod manipulation through computer-assisted bend instructions, designed to benefit both surgeons and patient. We believe neuromonitoring is a foundational requirement in every spine surgery. Our services and technology provide proprietary automated nerve detection with standardized setup and clinically validated alerts4 to help reduce variability and allow for faster interpretation of neural information. Our iGA alignment assessment technology offers the ability to intraoperatively assess the surgical approach and effects on spinal alignment through real-time insights. Surgeons can later follow up postoperatively to assess the result of the procedure. Navigation in spine surgery offers the potential for more surgeons to adopt MIS techniques while improving implant accuracy and minimizing radiation. However, the complexity and time requirements of existing solutions has impeded adoption of navigation into the majority of spine surgeries. 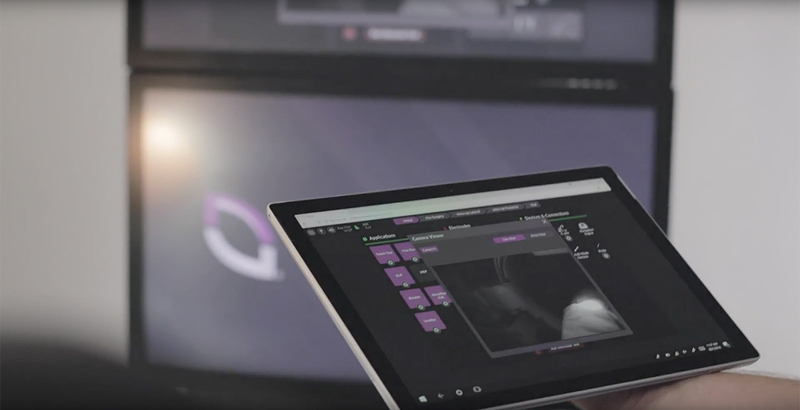 Pulse introduces a procedurally integrated navigation technology that features novel camera, array and workflow technologies to improve line of sight, ease-of-use, and surgical efficiency in the OR. Our navigation system provides multimodal information in a useful way that can adapt to changes in surgery and improve procedural workflow. 1. Bindal RK, Glaze S, Ognoskie M, et al. Surgeon and patient radiation exposure in minimally invasive transforaminal lumbar interbody fusion. Neurosurg 2008;9(6)570-3. 2. Karikari IO, Isaacs RE. Minimally invasive transforaminal lumbar interbody fusion. Spine 2010;(26S):294-301. 3. Macario A. What does one minute of operating room time cost? J Clin Anesth 2010;22(4):233-6.22. 4. Tohmeh AG, Rodgers WB, Peterson MD. Dynamically evoked, discrete-threshold electromyography in the extreme lateral interbody fusion approach. J Neurosurg Spine 14:31-37, 2011. 5. Vano E, Kleiman NJ, Duran A, et. al. Radiation-associated lens opacities in catheterization personnel: results of a survey and direct assessments. JVIR 2013;24(2):197-204. 6. 21 Wang TY, Farber SH, Perkins SS, et. al. Internally randomized control trial of radiation exposure using ultra-low radiation imaging versus traditional C-arm fluoroscopy for patients undergoing single-level minimally invasive transforaminal lumbar interbody fusion. Spine 2017;42(4);217-23.